The Bruins head into the off-season with five restricted free agents on their hands to either work out a deal to bring them back, or let them walk and become an unrestricted free agent. The five RFA's on the Bruins are forwards Reilly Smith, Justin Florek and Jordan Caron, and defensemen Torey Krug and Matt Bartkowski. Three of the five players are sure-fire locks to return to the Black and Gold over the summer. One almost certainly will not, and the other could be used in a trade. 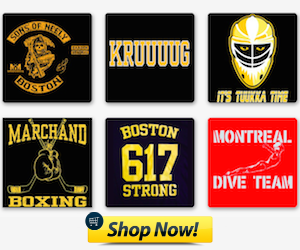 Reilly Smith and Torey Krug are obviously the top priorities for Boston in their group RFA's. Both players proved to be an integral part of the team's success this season, with both Smith and Krug putting up some big time numbers in both the regular season and the postseason. Neither player is eligible for arbitration or an offer sheet, leaving the Bruins with signing them to a new deal as the only option of keeping them. According to Fluto Shinzawa of The Boston Globe, the most logical course of action for the Bruins will be to double their current entry-level salaries by way of a two-year "bridge contract." Krug ($925,000) will see a pay raise in the neighborhood of $1.850 million, where Smith ($900,000) will a raise in the $1.8 million range. The Bruins can take advantage of how young each player is in relation to what their new contract should be, as the new deals will serve as a "show me" contract, allowing Krug and Smith to still work towards their big payday in two years time, as well as keeping the cap hit for Boston low. With the salary cap ceiling expected to raise with each successive season from here on out, the Bruins will have the room to sign the two skaters to a more lucrative deal if they wish. As for Florek and other younger players such as Svedberg and Matt Fraser, expect the Bruins to issue qualifying offers, which will result in a minimal pay increase and allow the B's to keep the number on their salary cap low. The much-maligned Jordan Caron is not expected to return to Boston this summer via a new deal, leaving him to become a free agent. Caron, Boston's first-round pick in the 2008 entry draft, has had a rough go of things during his tenure as a Bruin, recording just 28 points (12 goals, 16 assists) in 123 career games played for Boston. Save for a seven goal, eight assist campaign in the '11-'12 season, Caron never grew into a reliable option for the B's, as he continuously dropped in and out of the lineup due to his inconsistent and often invisible play on the ice. With the likes of Florek, Fraser, Ryan Spooner, Alexander Khokalechev and Nick Johnson all pushing from Providence for a spot on the big club, it seems the Jordan Caron experiment has finally met its end. Matt Bartkowski is arguably the most interesting of the RFA group, as the Bruins will have a serious question on their hands when it comes to deciding what to do with the 25-year-old Pittsburgh native. In his first full-season in the league, Bartkowski proved he is capable of being an everyday NHL defenseman, skating in 64 games, recording 18 assists and skating to a plus-22 rating. He was a solid option for the Bruins all season, providing a bit of offensive skill while showing his ability to excel in Claude Julien's defensive system. The playoffs were a completely different story, however, as Bartkowski was a shell of his regular season self. Bartkowski was benched for four of the 12 games played, recorded just one assist, skated to a plus-2 rating and took numerous, ill-advised penalties, one of which in Game 1 vs Montreal led to P.K. Subban's double-overtime game-winner. 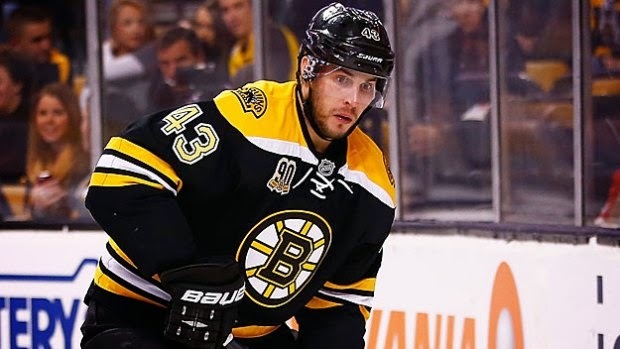 If the Bruins do not feel that Bartkowski can progress in their defensive system, GM Peter Chiarelli can package him in a deal and move him, leaving the Bruins to put the money that would have been used to sign him to a new deal elsewhere. It will be an off-season of tweaks for the Bruins, and the restricted free agent group provides a great deal of intrigue for the Black and Gold. 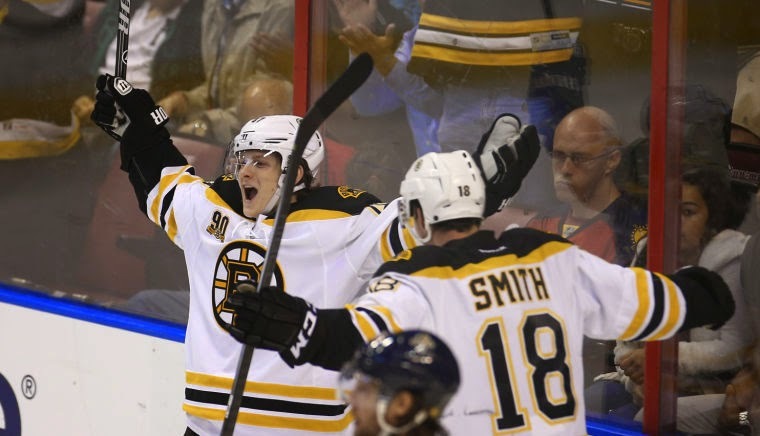 Smith, Krug and Florek are locks to return. Caron and Bartkowski are less likely to do so. 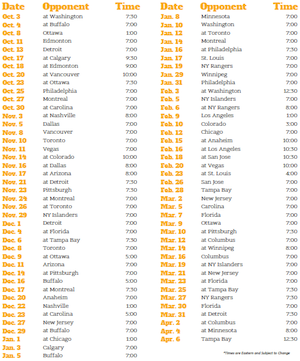 Keep in tuned to BruinsLife to follow all of the off-season happenings in the NHL this summer.